You can get a whole handful of these and it’ll still cost you less than one of our Atomizing Spray Nozzles will. If you don’t have any particular concerns about efficiency, spray pattern adjustment, droplet size or flow control (and a lot of applications don’t require this, and that’s fine,) then these will work GREAT for you. And again, they’re abundant and cheap. That wasn’t the case here – turns out, good quality paint is expensive, and every drop wasted adds up. Getting a fine, even coating on parts of different sizes & shapes, every time, requires precision control of the flow pattern. And design of an automated system benefits from a wide selection of options to choose from. 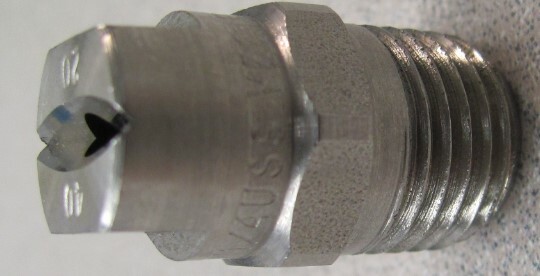 EXAIR Atomizing Spray Nozzles provide efficient, reliable coating. If you’d like to find out more about how engineered products, like EXAIR’s Atomizing Spray Nozzles, can make a difference to your operations…and your bottom line…give me a call.